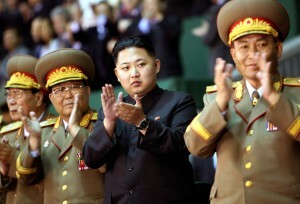 Immediately following the death of Kim Jong Il, the U.S. and South Korean military forces went on alert simultaneously. This is the natural reflex on the tactical side to the perceived new instability on the Korean peninsula occasioned by the leadership transition in Pyongyang. This is a good, careful approach. There is, however, a strategic side to the Korean situation that also needs attention as well. Setting aside the dark, doomsday potential for a collapse of the Regime in Pyongyang for a different discussion, what about the strategy for a hopeful future for North Korea? When the timing has been right, have we not seen former Communist regimes reinvent themselves and emerge with a hybrid of economic reforms that have worked reasonably well? Both China and Vietnam have moved successfully in direction economic liberalization and reform. Is there any hope for North Korea at all? In the past, it was often thought that North Korea’s Stalinist family dynasty and autocratic rule differed too much from the Communist Party oligarchies like that in Hanoi to allow a “Doi Moi”-like economic liberalization, such as we have seen in Vietnam, to take place. The current reality on the ground in North Korea is that Kim Jong Un is a young, likely more- impressionable leader with an unconsolidated power base. We need to remember that his Father had two decades to consolidate his own position and young Jong Un has barely had 2 years, if that. This all means that, notwithstanding his promotion this past September to a 4-star General (begrudgingly accepted in the Confucian military hierarchy by his fellow octogenarian 4-stars), Jong Un has a fragmented power base. His ability to lead and rule will require much more consensus-building and therein is the strategic opportunity for change. Moving beyond the stumbling blocks of denuclearization on the peninsula, this change could necessarily include economic reforms which could be reinforced and encouraged by humanitarian assistance, sanction modification (following the Myanmar approach), and, in due course, economic assistance. This is the “Vietnam Model.” The key piece of this puzzle requires both technocrats and reform-minded leadership within the DPRK. In Vietnam’s case, Hanoi, in the mid-1980’s had the benefit of a few brilliant economists who had a hand in the construction of the Party’s 1986 “Doi Moi” economic platform. The key architect was Dr. Nguyen Xuan Oanh, who came out of retirement as a former capitalist central banker under the defeated South Vietnamese regime and managed to turned himself into the Communist party’s favorite economist. I knew Dr. Oanh, a Harvard-educated economist. He was even South Vietnam’s Prime Minister for a few turbulent months in the coup-ridden 1960s. Somehow, after the fall of Saigon and eight months of house arrest, Oanh managed to persuade the communists that he was a technocrat and a patriot who had stayed on to serve his country. Rehabilitation allowed Oanh to become the architect of Vietnam’s “Doi Moi” economic reform platform in 1986. However, it was the combination of his education and prior government leadership that gave Dr. Oanh the political firepower with the Communist Party in Hanoi to listen and follow his direction for the future of the country. So where is North Korea’s Dr. Oanh? This is the interesting piece of the puzzle that is difficult to see at this juncture. While it is early for North Korea’s own “Dr. Oanh” to emerge, the seeds for a Oanh-type economic reform leadership or expertise in North Korea already exist in the form of 2 groups: (1) during the 1990’s and prior, a number of North Korean elites were educated in economics in Australian universities before Australia shut down its North Korean visa program; and (2) there are a number of young, North Korean refugees that are currently studying economics in Seoul, the U.S. and the U.K., who are preparing themselves to assist in the North Korean “Doi Moi” in the future. This “Vietnam Model” is a strategy that both Washington and Seoul need to encourage. It may well be North Korea’s only hope.